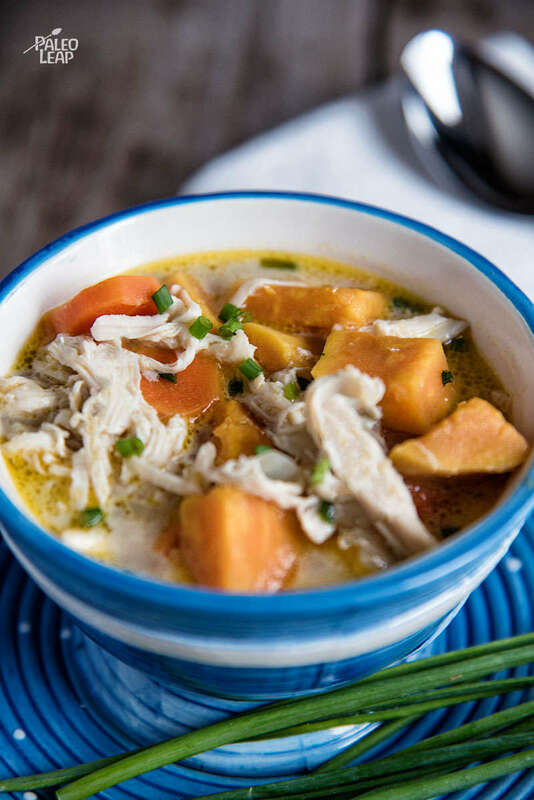 This soup is pure comfort food: warm chunks of carrots and sweet potato in a rich chicken broth with a little coconut milk stirred in for good measure. It’s for people who want something really rich but get turned off by the texture of pureed soups. It’s for people who got an end-of-winter bug and don’t feel up to a big meal. It’s also nice for people who need vegetables that are easy on the stomach, since the cooking time softens up the fibers a little and makes the vegetables easier to digest. 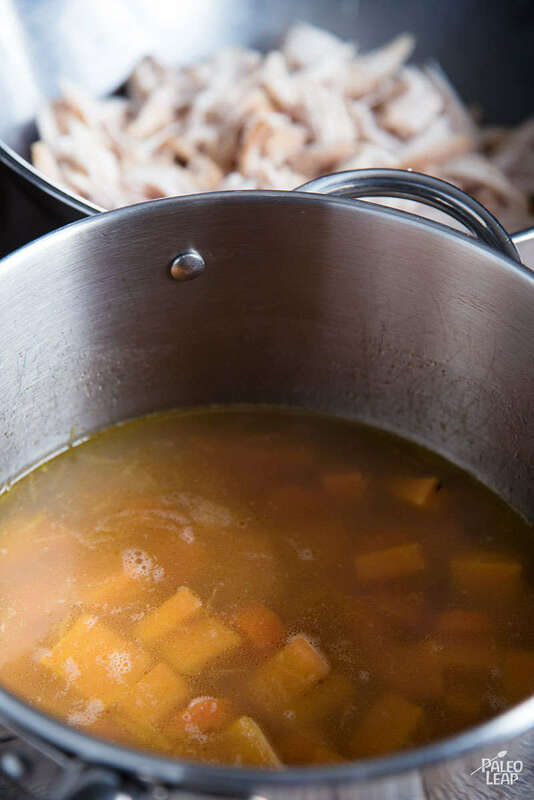 Assuming your roast chicken doesn’t have any forbidden spices on it, this soup is also AIP-friendly. Using leftover chicken makes everything fast and simple to cook, and it’s an easy way to deal with any left-behind bits that you’re not quite sure what to do with. If you don’t want it right now, you could always make it, freeze it, and haul it out again when it’s needed: who knows when you’ll want some chicken soup in the freezer ready to go? SERVES: 4 PREP: 25 min. COOK: 30 min. Heat the ghee in a large saucepan over medium-high heat. Add the garlic and onion and cook until soft, 2 to 3 minutes. Place the carrots and sweet potato in the saucepan and cook for another 2 to 3 minutes. Lower the heat to a simmer, and let simmer for 15 to 20 minutes, or until the vegetables are soft. Add the chicken and cook until warm. Stir in the coconut milk, and season to taste. Serve the soup with fresh chives sprinkled on top.